Marie Kondo is the star of the Netflix Series Tidying Up with Marie Kondo. In her show, Kondo encourages people to declutter their house by getting rid of unused or unloved items and keeping things that “spark joy. Her method says that by decluttering, people are able to cherish the items that they keep. 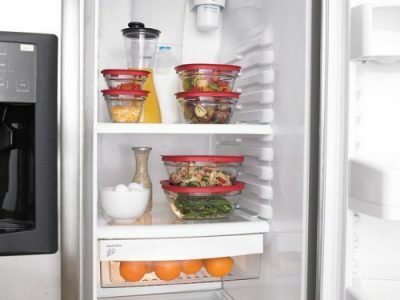 Start organizing your fridge by removing items that have gone bad. Did you know that the Use by or Sell by dates tell you about the quality of food, not how safe it is to eat? A Sell by date indicates that a product should not be sold after that date if the buyer is to have it at its best quality. A Use by or Best by date is the company’s estimate of how long a product will keep at its best quality. Proper storage is key to assuring a food is safe, wholesome, and of good quality after its Use by or Best by date. To know how long item stays safe, check out the last page of this FDA handout. Keep these recommended storage guidelines in mind when you purchase new food. Write the purchase date on an item with a permanent marker to help you keep track of how long it has been in your fridge. 2. Does your fridge “spark joy”? You can’t Marie Kondo something without asking yourself, “Does this spark joy?” This question is especially important for food. If food is not appealing or if it does not taste good, you are more than likely not going to want to eat it. This can lead to wasted food and wasted money. Look inside your refrigerator. 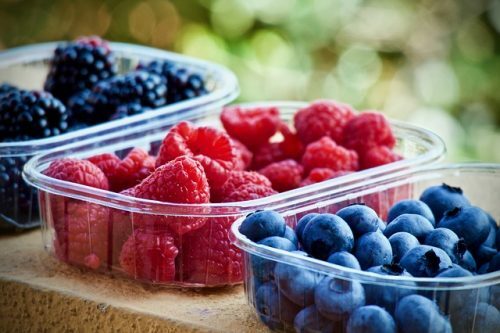 Do you have food that is healthful and that you enjoy eating? Which items have been there the longest? Is there a reason why you haven’t eaten them yet? Next time you go to the grocery store, think about choosing items that are good for your body, your budget, and your heart. Many of us multi-task during mealtimes. Focusing all your attention on even just a few bites of a meal (part of mindful eating) can increase the joy of eating good food. Eating with loved ones can also “spark joy” at meal times. Sometimes it’s hard to know what exactly is in your fridge because items are stacked on top of each other or shoved in the back. You may buy things you already have because you forgot it was already in the fridge. An important step when organizing: cleaning! Clear your shelves and drawers and use warm, soapy water and a rag to clean everything. Try to put smaller items, like yogurts or cheese on the top shelf. This allows you to see through the top shelf and down onto the bottom shelves. Try not to stack items on top of each other. Place them side by side if possible. Put taller items near the back of the fridge so they do not block your ability to see smaller items. Use clear storage containers if possible so you can see what’s inside. Prevent buying things on your shopping list that you already have by looking in your fridge (and pantry!) before you leave the house. Double check that you don’t already have the items that you need. Keep in mind if you need to get more of something as well. Cross off items that you already have on hand. This method of approaching your refrigerator may just help you save money, time, and even spark a little joy!